A YOUNGER YOU IN THE MIRROR. The CoolMini is part of the CoolSculpting family. It is a small applicator custom designed to treat small pockets of fat. It is ideally shaped to treat the fat under the chin, but it can also be used to treat any small pocket of fat, including fat around the knees, arms, shoulders, and back. CoolMini treatments take 45 minutes each, and a patient will receive either one or two treatments during their appointment. 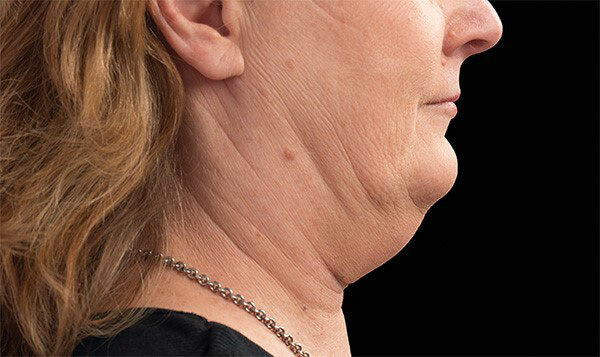 The ideal candidate for CoolMini treatment is a person at or near their correct weight with a double chin or other small pocket of fat that cannot be gotten rid of in spite of a healthy diet and a good exercise program. The CoolMini works by freezing the fat for 45 minutes. This freezing of the fat sets up a tissue reaction in the fat that leads to the loss of fat cells. The fat is broken down and eliminated from the body. Best of all, the fat reduction resulting from CoolMini treatment is permanent. The fat that is eliminated does not come back. During the CoolMini procedure a handheld applicator is placed over the treatment area. A gentle vacuum suction is applied to the tissues to bring the fat into the applicator where it will be frozen. You can watch a CoolMini procedure and learn more about how it is done by clicking here. 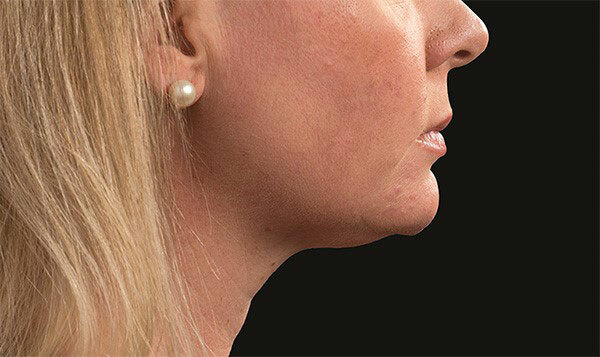 CoolMini treatment results in a gradual reduction of fat from the double chin or other treated areas. Results come out during the 6-8 weeks following treatment, with the final result visible approximately 3 months following treatment. Some patients will only require one office visit to complete their treatment, while other patients with more fat may need to return to the office for a second treatment session about two months later. There is no downtime after CoolMini treatments, and patients can resume all of their normal activities immediately after leaving the office. 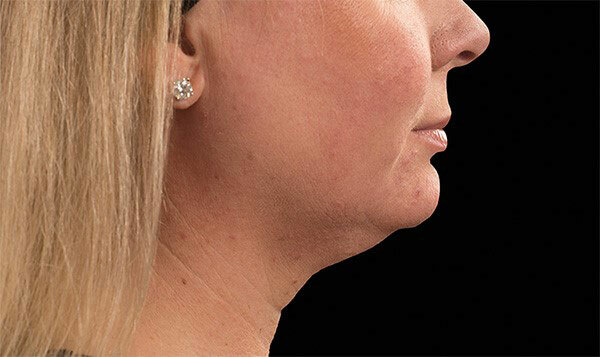 The following before and after photos show the kinds of results that can be obtained with the CoolMini when the double chin is treated. Am I a good candidate for the CoolMini procedure? The best candidates for CoolMini are individuals who are at or near their correct weight who have pockets of fat that cannot be gotten rid of in spite of a healthy diet and a good exercise program. CoolSculpting and CoolMini treatments are not weight reducing procedures. Patients who are significantly overweight are not good candidates for these treatments. Also, the very rare patient who has cryoglobulinemia, cold agglutinin disease, or paroxysmal cold hemoglobinuria should not be treated with the CoolMini or other CoolSculpting procedure. Is the CoolMini procedure safe? Yes, the CoolMini procedure is extremely safe. It is just like a CoolSculpting procedure and it is FDA approved. Millions of CoolSculpting procedures have been safely performed worldwide since the original FDA approval in 2011. 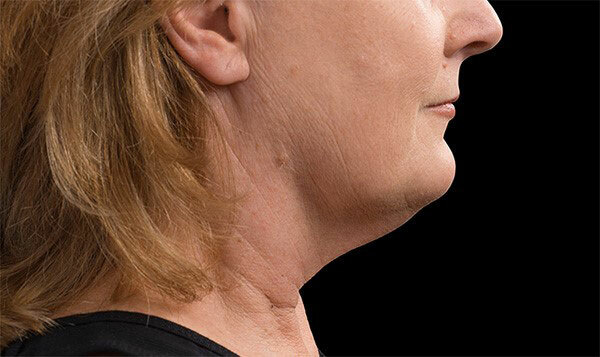 The most common side effect when the double chin is treated is a sensation of fullness in the back of the throat. Other side effects include swelling and redness, which are mild and temporary. Because the CoolMini applicator is small, side effects are minor and resolve quickly. CoolMini treatments have absolutely no downtime. Patients can resume all of their normal activities immediately after leaving the office. They can return to work, go to the gym, or just relax. There are no restrictions after a CoolMini treatment. How long will my CoolMini results last? The results from CoolMini treatment are permanent. So long as your weight remains stable, the fat will not come back.